Presenting our amazing lineup of Judges for the 21-Day Filmmaking Competition and the Philadelphia Film & Animation Festival 2012! 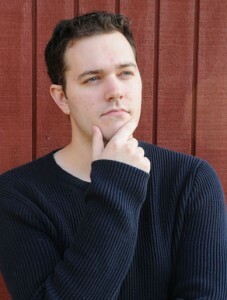 James Rolfe is the founder of Cinemassacre Productions. He has created more than 300 films in his career, and has become an icon in the gaming world with his hit web series The Angry Video Game Nerd. James is a graduate of the University of the Arts Philadelphia. Known for its hilarious reviews and retrospectives of pop culture phenomena, his website Cinemassacre.com is extremely popular. He is one of the most viewed Directors of All Time on Youtube, with over 500,000 subscribers and 250,000 Facebook fans. James creates content for Spike.com, GameTrailers.com, and MTV, and was the winner of Mashable’s Best Web Series of 2009 for The Angry Video Game Nerd. James’ other popular series include Board James, and You Know What’s Bullsh*t? 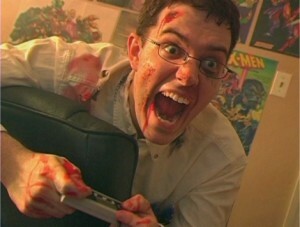 He is currently in post-production of Angry Video Game Nerd: The Movie. Pic & bio coming soon! Russ Lichterman, a Philadelphia-area native started his filmmaking career at Temple University earning a bachelor’s degree in Film and Media Arts. Russ also holds a master’s degree in Applied Educational Technology from Wilmington University and has acted as an adjunct instructor of film and television at Wilmington University and the Art Institute of Philadelphia. As co-owner of Super-Nerve Entertainment he served as Producer and Production Manager on the feature film “Victim’s Song” which has received multiple awards, including “Best Feature” at the 2008 Philadelphia Film & Animation Festival. Bryan Brink man is an animator/designer based out of New York City. Originally from Omaha, NE, Brinkman studied animation at Philadelphia’s University of the Arts before working in NYC and LA. Recently he was a designer and animator on HBO’s The Life and Times of Tim. Last year he won Best Music Video at the ASIFA East Animation awards, and in the past year he has also created animations & graphics for NBC’s Late Night with Jimmy Fallon. For his day job he works in advertising creating toy commercials for brands such as Beyblades, NERF, and Twister at Refinery NYC. Recently he also worked on the new Angry Birds / Philadelphia Eagles campaign that is currently airing on tv and in the stadium this season. Derek Dressler is a writer based in Los Angeles. He is currently a Staff Writer with Walt Disney Television Animation, and served as Story Editor of the Disney series KICK BUTTOWSKI: SUBURBAN DAREDEVIL. A 2005 graduate of Writing for Film and Television at The University of the Arts, Derek also taught writing and liberal arts courses upon graduation. He is the recipient of the 2007 “Set in Philadelphia” Screenwriting Award for writers under age 25, awarded by Academy Award Nominee Stephen J. Rivele (Nixon, Ali, Copying Beethoven). Derek is also a former Philly PitchFest winner, and continues a mentorship with screenwriter Mark Rosenthal (Jewel of the Nile, Planet of the Apes, Flicka). Most recently, Derek co-wrote Troma’s RETURN TO THE CLASS OF NUKE ‘EM HIGH, for director Lloyd Kaufman. C. L. Zastrow is a native Michigander, holding Bachelor’s Degrees in both Instrumental Performance and TV/Film Production. After serving in the U.S. Navy, she became a Professional Firefighter/EMT/HAZMAT Technician. Ms. Zastrow has extensive experience in Forensic Science, K-9 Search and Rescue, and Evidence Detection. She studied Medicolegal Death Investigation at St. Louis University, and was awarded a Masters Degree in Forensic Toxicology from the University of Florida in 2005. She is a doctoral candidate in Epidemiology. She currently works for both State and Federal Government. Ms. Zastrow is a member of the American College of Forensic Examiners, as well as the International Association of Bloodstain Pattern Analysts. She also holds a First Degree Black Belt in Tae Kwon Do. She has appeared on Unsolved Mysteries, Crosstalk From Beyond, and other television programs. Ms. Zastrow is available as a consultant on forensic issues, emergency services, stage combat, screenwriting, and working K-9 issues for stage, screen, and other venues.